ICEM has quickly become known as a leading forum where academics and professionals from emerging markets share insights and experiences about topics ranging from accounting, banking, and information technology. 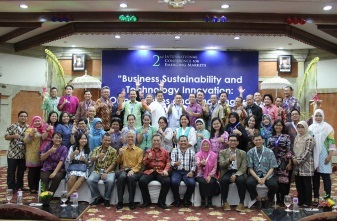 This year, the event committee decided upon the theme of Business Sustainability and Technology Innovation: Opportunities and Challenges facilitating active discourse amongst conference attendees on a subject of immense importance to Indonesia’s ability to mature as an economy. Prominent academics and students from various national universities were also in attendance during the event and were provided with a platform to present their research papers in front of industry experts. ICEM 2015 participants listened to key analysis on issues surrounding the future of finance from prominent international guest speakers well-versed in the latest global market trends. Mr Parulian Silaen from the School of Accounting at Wollongong University Australia and Mr Paul CG Gwee from the ASEAN Bankers Association, Singapore attended the event which formally began after a plenary session was opened by Mr Sigit Pramono as Chairman of Perbanas Institute. During the 2-day forum, participants were also provided with the opportunity to select the 3 best research papers presented. Capping off the event were Trisakti University lecturers Mr Bahtiar Usman and Mr Syofriza Syofyan who attained the coveted 1st place for their work. Looking towards a more international approach going forward, Perbanas Institute plans to host the next ICEM event in Singapore.